Cooking for a growing toddler boy has it's challenges. The First Mate eats an extraordinary amount of food and he does have some dietary restrictions. We recently cut out dairy in an attempt to rule out a food intolerance. It seems to have solved his sleepless nights and gassiness. However, it created the problem of what to feed him. He was getting a lot of nutrition and protein from dairy and he isn't too keen on meat. I decided it was time to test out some recipes on the men in my house. A quick side note here, I have been a vegetarian for 17 years, so I did not taste any of what I made. I do love to cook and have a pretty good recipe track record. 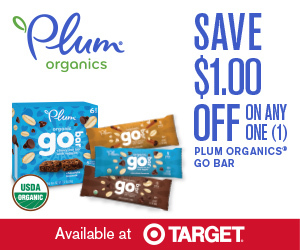 I know what flavors work and that translates into any dish, meatless or meaty. 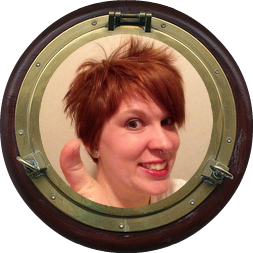 I had two taste testers to ensure my recipes were up to par, The Captain and The First Mate. They are both very honest and will let me know if something is not good. One will spit it out and throw it and the other will tell me if something isn't good. I'll let you figure out who does what. OK, back to the cooking part. I bought a package of organic boneless skinless chicken tenders and got to work. These dishes would work great with chicken breast as well, I chose tenders because they are toddler sized and I wanted to make multiple types of chicken. 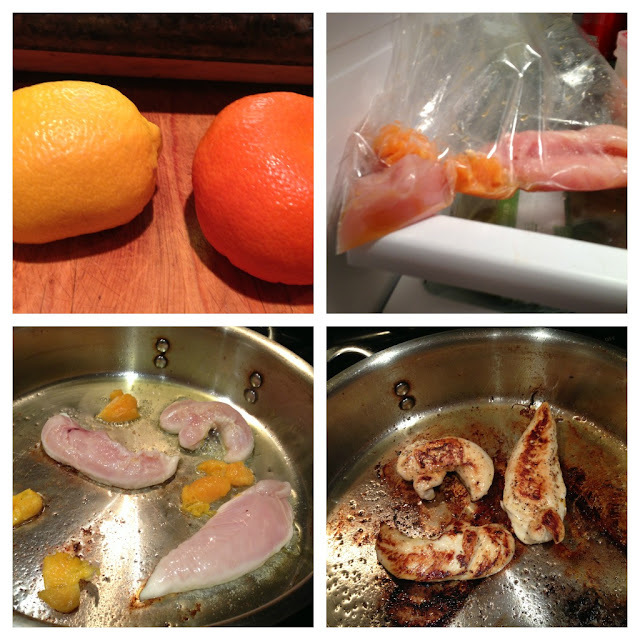 Place the chicken into a resealable bag and add the juice of enough lemons to cover the chicken. Let marinate for at least 30 minutes, but longer is OK.
Once the chicken has marinated enough, heat some olive oil in a skillet on medium high while you prepare the chicken. Lightly salt and pepper each side. Once the oil is heated carefully add in the chicken. Then squeeze on more fresh lemon juice and add some lemon zest. Cook over medium heat about 2-3 minutes per side. Continue cooking until fully cooked through. Add some more oil to the pan and let it warm through. Then add some basil leaves and fry up until crisp, but still green and in tact. 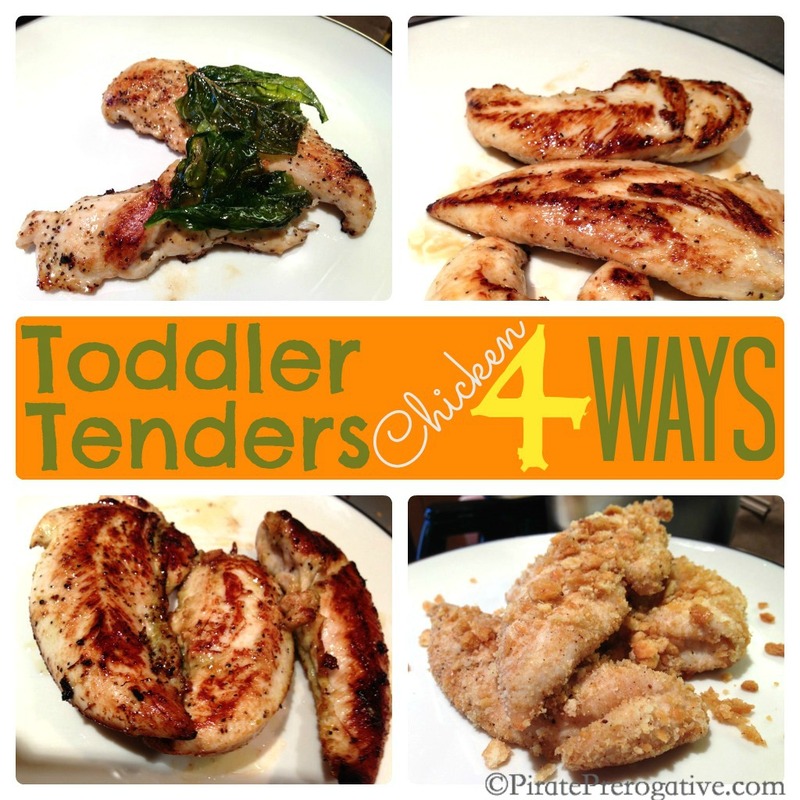 Dry on a paper towel and set on top the chicken and enjoy. Repeat the same steps as the above recipe but use both oranges and lemons. Right before serving slice another orange and squeeze fresh juice atop the chicken. Do not use an orange that was in the bag with the chicken, salmonella is not appetizing. No need to top with basil. 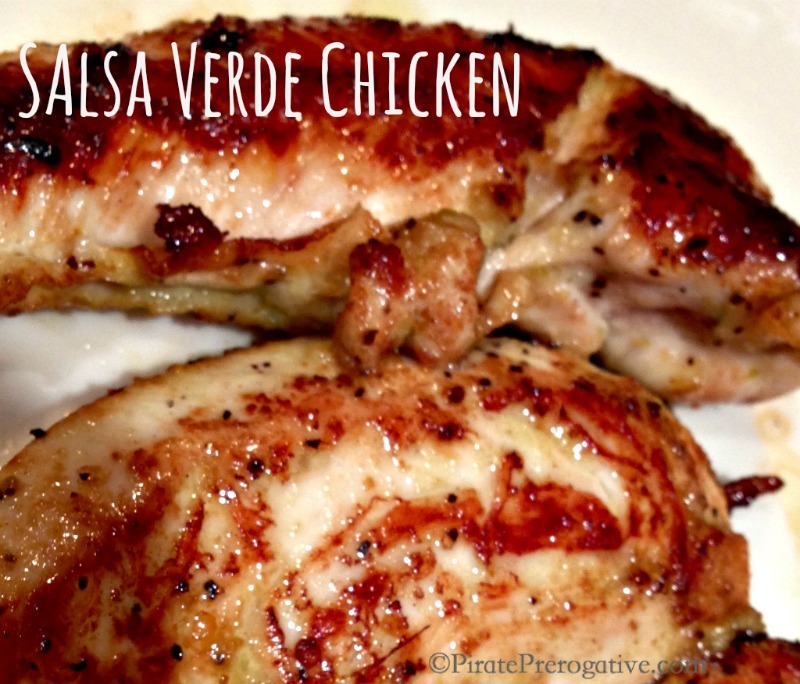 Get out your trusty resealable bag and add the chicken and enough salsa verde to cover the chicken. 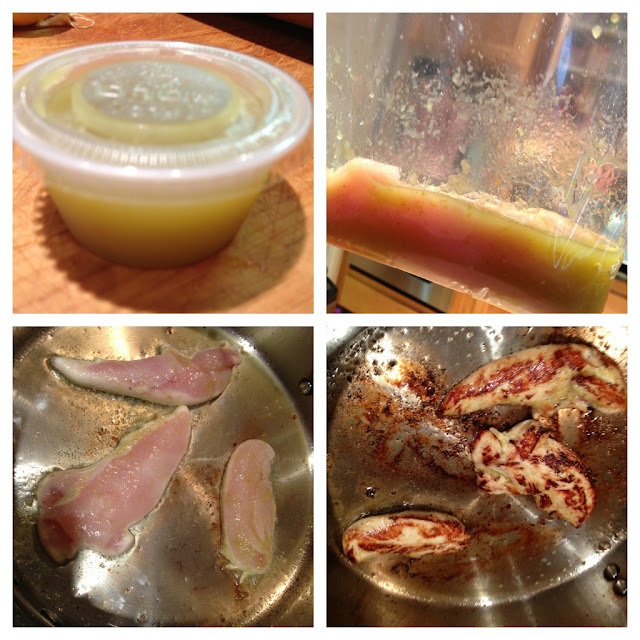 Marinate for at least two hours, but overnight is just fine. Heat some olive oil in a skillet. 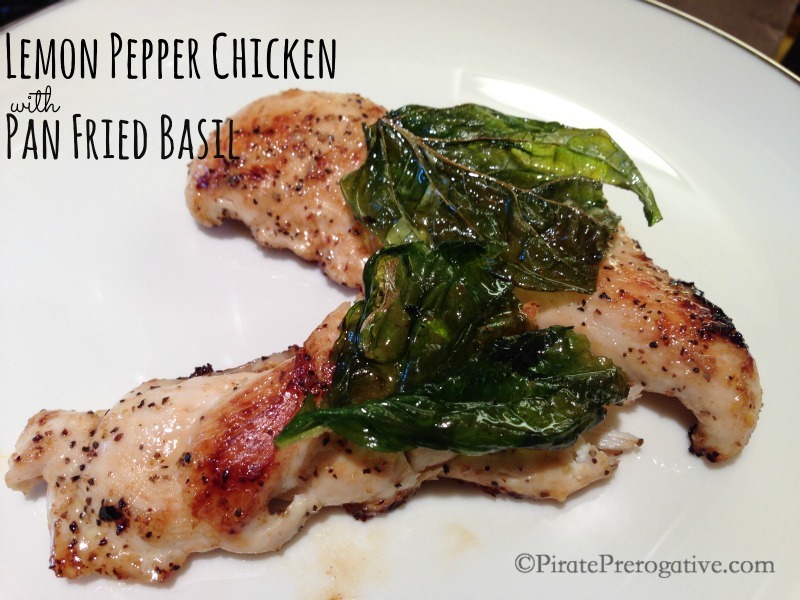 Salt and pepper the chicken on each side and place in the skillet. 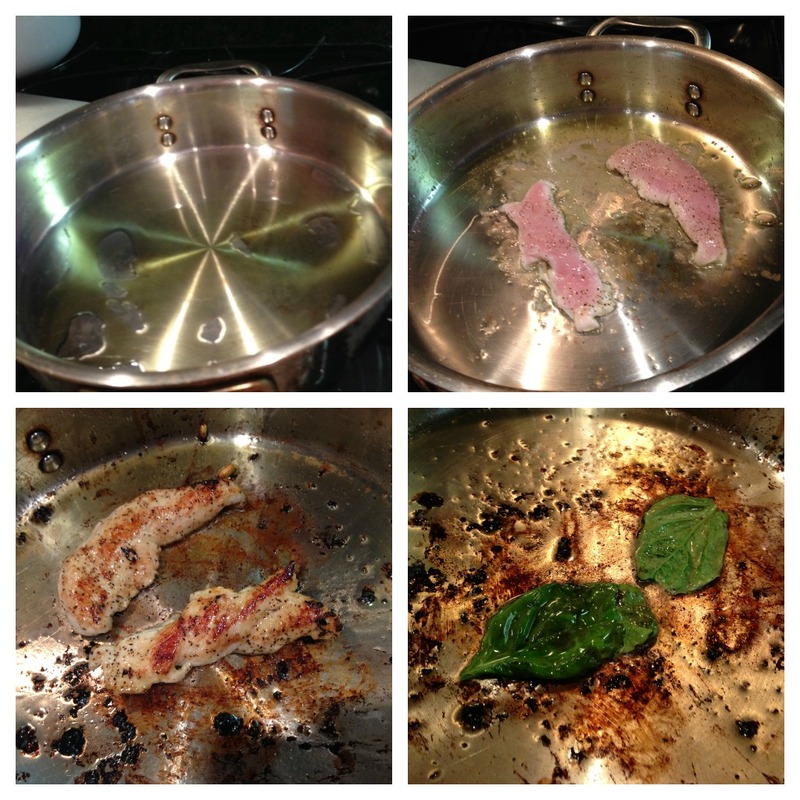 Cook over medium heat for 2-3 minutes per side and until completely cooked. 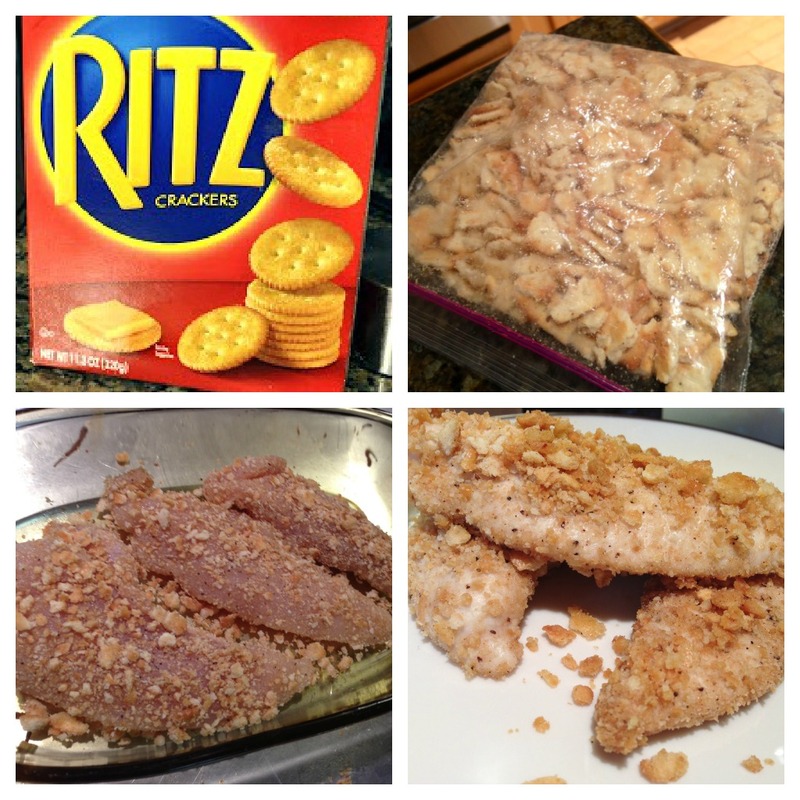 This version also involves a resealable bag, just add some Ritz crackers and smash into pieces to create the breading. If you don't have Ritz, you can also use breadcrumbs. I toasted up some sourdough and blended it up in the food processor with some seasoning once when I was out of crackers. 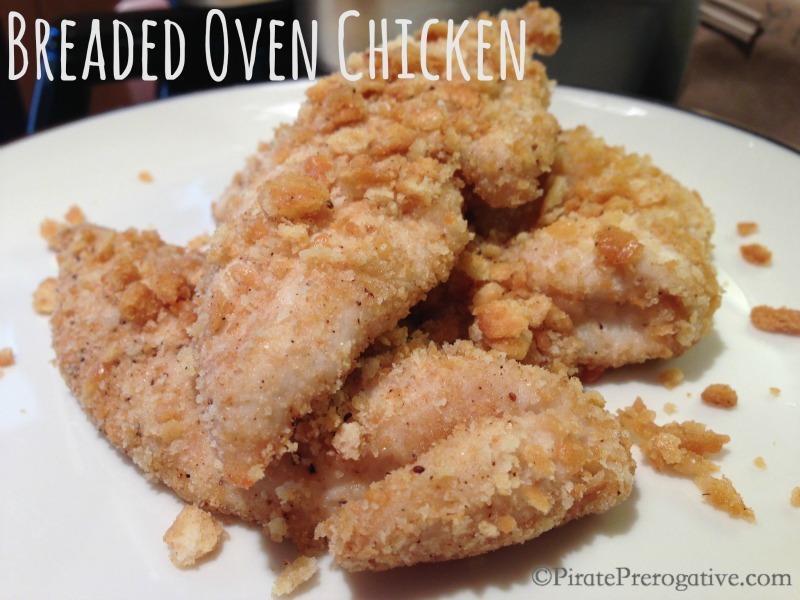 Preheat the oven to 350 degrees while you prep the chicken. 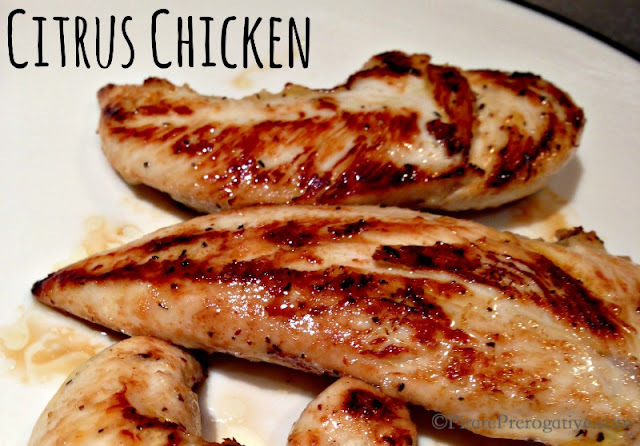 Rub the chicken with olive oil and season with salt, pepper, and Old Bay seasoning. Then drop the chicken into the bag and shake to coat with the cracker crumbs. Place in an oven safe baking dish and bake for 20-25 minutes until cooked through. It will come out crispy and golden brown. These recipes have made incorporating protein into The First Mate's diet easy since we have cut our dairy for now. He loves them and I don't have to stress with a labored preparation.